• [EXCLUSIVE] When viewing Text status/story, click on it to copy it and freeze time! • [NEW] Unlimited period to "delete for everyone" for old messages! Now you can delete messages from 1+ year ago!! 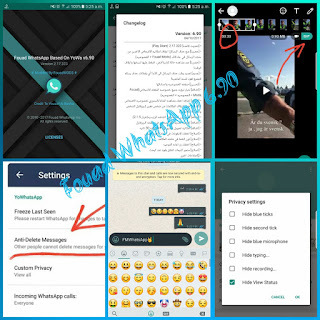 3 Responses to "Fouad WhatsApp v6.90 Latest Version Download Now"